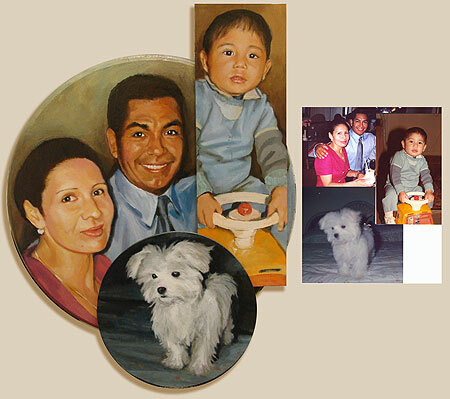 Most of my paintings are oil paint on multi-paneled or sculpted canvas, but I also take commissions for oil, acrylic or watercolor paint on traditional “flat” stretched canvas or wood panel; or with gouache and colored pencil. After the consultation I will supply the client initial rough sketches and my suggestions for canvas shape, medium used, etc. At this point we renegotiate price depending on whether there are changes in the materials used and/or the technique chosen for the commission. 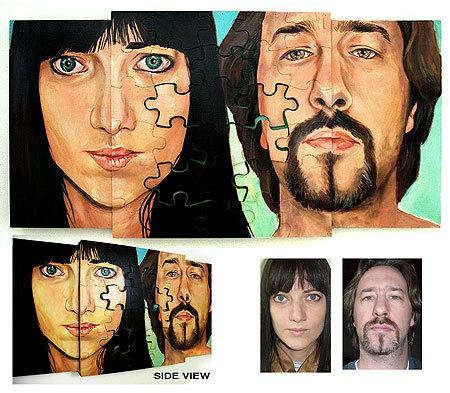 For painted artwork, the client will have a chance to see the painting in progress once the under-painting is complete. This will be the last time the client will see the painting before completion. As for drawings clients will be able to make adjustments only after the initial rough sketches. 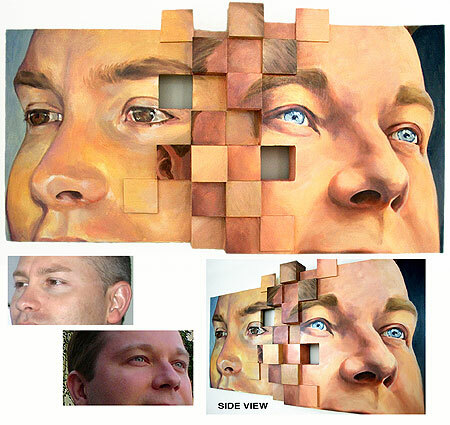 To schedule an artwork consultation, please call 703-839-3255 or email me via matthewcuenca@gmail.com. I can easily take consultation interviews via phone and collect reference photos via internet.